On this date in 1918, 21-year-old Aloïs Walput of the 2nd Belgian Grenadiers was shot at the Belgian North Sea town of Oostduinkerke, during the First World War. 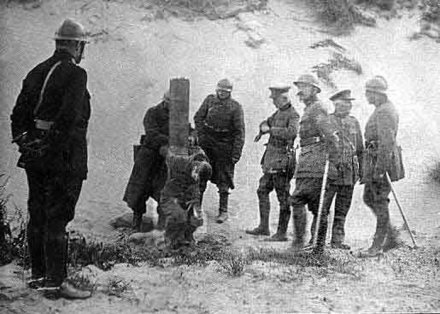 He had killed his corporal two weeks before, and was one of “only” 13 Belgian soldiers executed during the Great War, either for military offenses such as desertion, or regular criminal ones such as Walput’s homicide. A very moving image. Firing squad is a gentleman’s death for sure.